Solve the riddle on the Ainigmata Ostraka to claim this loot in Assassin's Creed Odyssey. As players explore the world of Assassin’s Creed Odyssey and grab loot, they’ll occasionally find random documents called Ainigmata Ostraka that contain riddles to bigger treasure. There are few of them on the Kephallonia Islands, the first area available to explore. One of the Ainigmata Ostraka you might find there is called Ashes to Ashes and will lead to some significant loot. "When times are bad, it can be easy to turn away from the gods. Go to the burned temple in Kausos Village, in the Cursed Valley of Pali. I can be found in a pile of burning ashes, where a worshipping man left his post to begin his new life as a pirate." The Village of Kausos is in the southwestern part of the Kephallonia Islands. 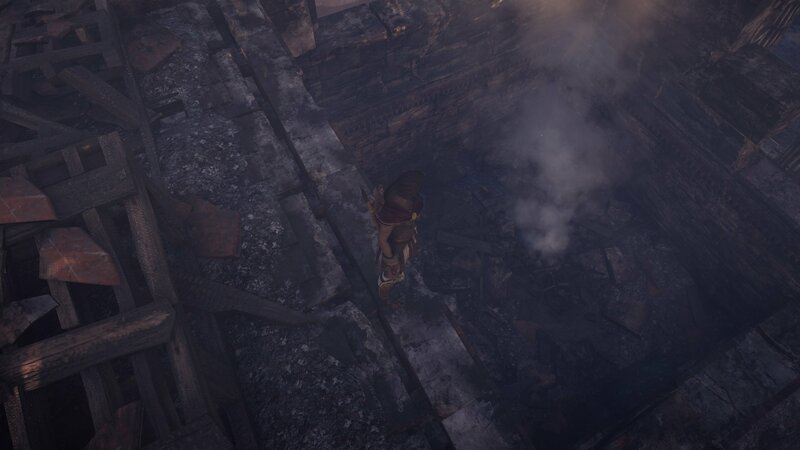 The buildings on the map look burned out, so it should be easy to spot. Head that way, taking note of all the burned buildings to let you know you’re in the right place. Look for a building that’s bigger than the rest and has the telltale signs that it’s a temple. Inside the building will be burnt debris and ashes, and in the ashes will be the option to interact and claim your treasure. I visited this place before I found the Ainigmata Ostraka and didn’t see the option to interact, so it’s likely that you must find the riddle before you can claim the treasure. 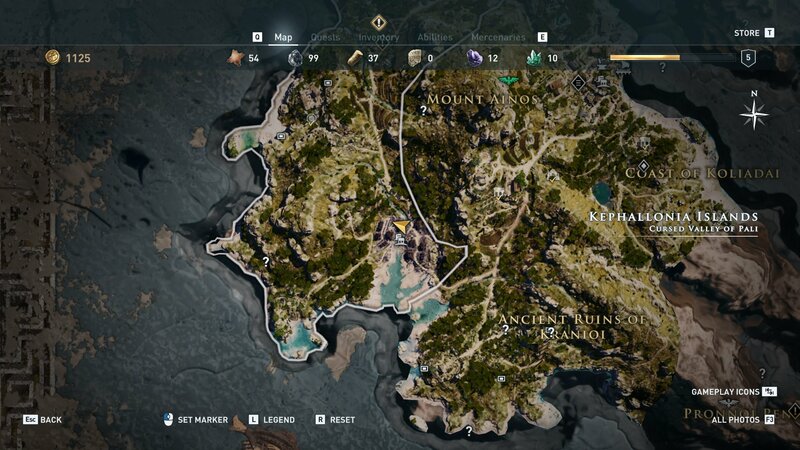 Now that you’ve completed the Ashes to Ashes Ainigmata Ostraka riddle, be sure to visit the Assassin’s Creed Odyssey walkthrough and guide. We’ll be covering more riddles and providing in-depth coverage of all the game’s systems and mechanics. Whether you’re a veteran of the franchise or just starting out, there’s something here for everyone.